Wimborne Road West, Wimborne - 4 Bed £560,000 House Detached [Freehold ] Dorset Property are delighted to offer for sale this spacious 4 bedroom, 4 reception room detached family home in the heart of Wimborne. The property further benefits from a self contained studio annexe which is rated on a separate council tax band with services. This spacious family home is set back from the road with a driveway offering ample off road parking. 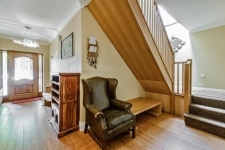 Once through the integral porch you are welcomed into a spacious entrance hallway with doors to all principal rooms, built in storage/coat cupboard and a shower room. The Sitting room benefits from solid oak flooring and a stylish wood burner along with French Doors opening to the front. An excellent sized study is also found to the front with french doors. There is also a good size dining room with double glazed side aspect window. Double opening doors from the hallway lead to the open plan kitchen/family room. The kitchen has an extensive range of wall and base units along with ample worktops with space and plumbing for a wide range of appliances ( available by separate negotiation ). It further opens out into the large family room with french doors to the South Facing rear garden. In addition there is a separate Utility Room with additional units and stainless steel sink. Stairs lead to the first floor where the 4 double bedrooms will be found. The master bedroom benefits from a dressing area with built in wardrobes and a marble tiled en suite shower room. There is also a modern family bathroom featuring a shower bath. 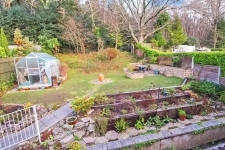 To the rear of the property is a large South facing garden with timber deck and terrace area, well stocked flower and shrub borders. Bridle Way, Wimborne - 4 Bed - Guide Price £475,000 House Detached [Freehold ] VENDOR SUITED - A Spacious, 4 double bedroom, 3 reception room detached family house with an outstanding view towards the coast, backing directly on to Cannon Hill Plantation, on the popular Bridle Way development of Colehill. 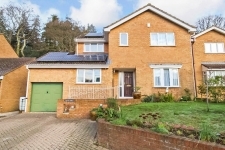 Built in 1989 and occupied by our clients since new, the house is connected to all mains services and has gas central heating, UPVC double glazing and photovoltaic panels. It is presented in good decorative condition throughout. 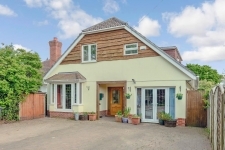 The property's original double garage has been converted into a large single garage and a spacious study/family room with a useful cellar below. The lounge has double glazed doors leading to the dining room which has a fitted Custom World wall unit. There is a ground floor cloakroom and a large extended kitchen/breakfast room with oak units and a range of appliances. On the first floor there are 4 spacious double bedrooms, including the master bedroom which has an en suite bathroom (with Jacuzzi bath and shower over,) and a family bathroom.